From the author of the internationally bestselling The House on Burra Burra Lane comes a Christmas story – country style. Kate Singleton has twelve days to find herself. With Christmas Day and her thirtieth birthday approaching, the best thing a city–chic fashion designer who no longer has a raison d'etre can do is nullify herself in the country. With Chardonnay. When trouble strikes, the country presents her with Jamie Knight – a gallant but uncommunicative He–Man who drives an excavator and arrives to rescue Kate, her shoes and her case of Chardonnay from a boggy field. 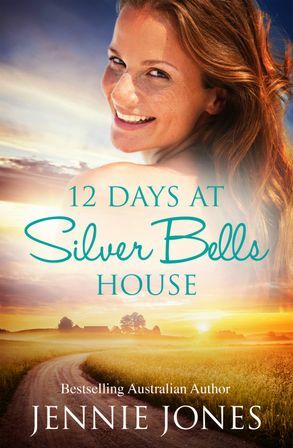 The adventure should be over – nothing but a good story to tell to her friends in the city – but her saviour turns out to also be an unexpected roommate, the new owner of Silver Bells House, Kate's holiday home. Forced together and dragged into the community Christmas spirit of the town, Kate and Jamie flounder their way through mistletoe, kissing games, carolling choirs, and a bone–deep yearning for community and acceptance.